Resort "this property". 400 m from the beach. Parking. 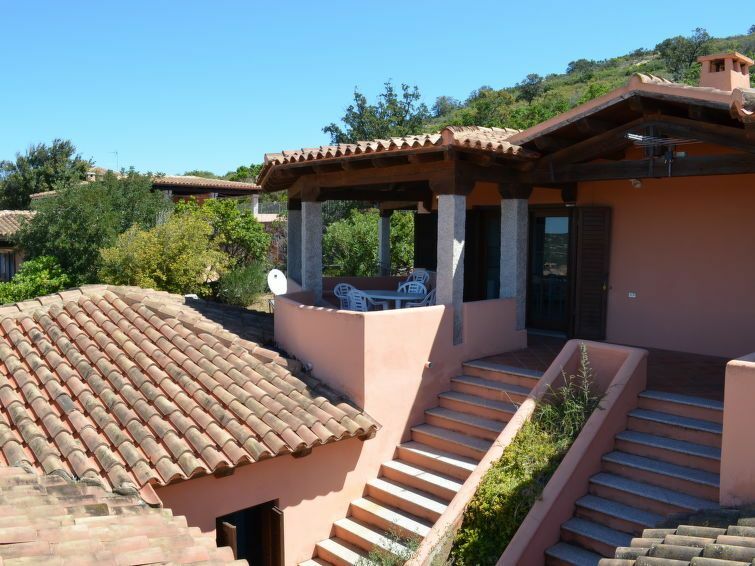 Shop, restaurant, bar 500 m. Nearby attractions: centro san teodoro 7 km. Please note: car recommended. The photograph shows a typical example. "Villetta 6 posti letto", 3-room apartment 55 m2. Comfortable and stylish furnishings: living/sleeping room with 1 double sofabed and TV. 1 room with 1 double bed. 1 room with 2 beds. Kitchenette (2 hot plates, oven, freezer). Bidet, bath or shower/WC. Large balcony or garden. Terrace furniture. Beautiful panoramic view of the sea. Facilities: washing machine. Suitable for families.